A sense of sophistication radiates from the exterior look of the 2019 Volkswagen Passat. Standard alloy wheels in all trims of the Volkswagen Passat make it a pleasing vehicle to look at on the road. For 2019, a pair of upscale trim levels are offered: the Wolfsburg Edition and the SE R-Line. Plenty of new features have been added to the standard model of the 2019 Volkswagen Passat to enhance its safety standard among the competition at a great price point for a mid-size luxury sedan. The 2019 Volkswagen Passat will be just the right family mid-size luxury sedan for you, but you can also browse our New Inventory for other models, such as the Volkswagen Jetta. The 2019 Passat SE R-Line with its 19-inch wheels makes a statement on the road. The ride is also quite comfortable in the 2019 Volkswagen Passat. The Volkswagen Passat comes in brilliant exterior colors such as Deep Black Pearl Metallic, Terra Brown Metallic, Pure White, Reflex Silver Metallic, and Tourmaline Blue Metallic. When you buy your Volkswagen Passat, you’ll also get the Volkswagen of Gainesville Advantage included at no additional charge. The Volkswagen of Gainesville Advantage includes great benefits like lifetime car washes, 3-year key replacement, and more. Come visit our Volkswagen dealership in Gainesville to discover for yourself the 2019 Volkswagen Passat. The interior upscale cabin of the Volkswagen Passat is comfortable, and it displays practical onboard instruments. The Volkswagen App-Connect™, for compatible smartphone integration, helps you stay in control of your music, apps, and more! Standard features for the 2019 Volkswagen Passat include: a leather-wrapped steering wheel, leather seating, heated front seats, comfortable bucket front seats, and folding rear seats for even greater space in the roomy trunk. Additional standard features include an overhead console with storage, front, and rear cupholders, a 6-way power-adjustable driver seat, keyless ignition, a rearview camera, heated mirrors, and more. Standard technologies for the 2019 Volkswagen Passat also include SiriusXM™ satellite radio with 3 months of complimentary service, an auxiliary audio input and USB with external media control, a memory card slot, and more. Optional features include a Fender® Premium Audio System with 400 watts of power and a subwoofer. Other available premium services include the VW Car-Net® Services that includes navigation with traffic information, weather notification, and parking information. Come visit Volkswagen of Gainesville to get accurate and up-to-date information on the 2019 Volkswagen Passat. With a 2.0L turbocharged inline 4-cylinder engine, the standard model of the 2019 Volkswagen Passat produces 174 horsepower and 184 lb.-ft. of torque. This powertrain of the Volkswagen Passat rivals even the V6 engine of some competitors. The Volkswagen Passat responds well to acceleration demand, especially when you select the Sport driving mode and your Volkswagen Passat is equipped with the available track-inspired paddle shifters, which are conveniently located behind the steering wheel. The 2019 Volkswagen Passat delivers great fuel economy with EPA-estimated ratings of 25 MPG in the city and 36 MPG on the highway. Come test-drive the Volkswagen Passat at Volkswagen of Gainesville today where you will experience superior customer service. Your 2019 Volkswagen Passat comes with several advanced safety technologies that ensure the safety of everyone you share the road with. Standard safety features for the Volkswagen Passat include: a rearview camera, Daytime Running Lights, Collision Warning, and Emergency Braking Assist in the event a collision is unavoidable with the vehicle directly in front of you. You’ll also find the Intelligent Crash Response System (ICRS) that can turn off the fuel pump and unlock the doors after a crash, allowing you to get out safely. The standard Automatic Post-Collision Braking System can help prevent further impact, and you’ll find many more safety-enhancing driver-assist systems. Premium features for the SE R-Line trim of the VW Passat will afford you Adaptive Cruise Control which, with the use of intelligent radar technologies, helps you safely adapt to the speed and distance of the vehicle directly in front of you. Additional features include Rear Cross Traffic Alert and a Blind Spot Monitor with Lane Assist, which can help prevent you from getting in a collision with a vehicle in your blind spot and may even counter-steer your vehicle if you attempt to change lane. Plus, you can get Lane Departure Warning, Front and Rear Parking Sensors, and LED headlights. Plus, every new Volkswagen Passat comes with The People First Warranty with a transferable Bumper-to-Bumper Limited Warranty of up to 6 years or 72,000 miles! * With this warranty, your car will be eligible for free-of-charge repair at your Volkswagen dealer. When you buy a new Volkswagen vehicle, your car will also be protected against corrosion perforation for 7 years or 100,000 miles, whichever comes first. Drive with complete peace of mind. Upgrade to a new Volkswagen Jetta and enjoy The People First Warranty. 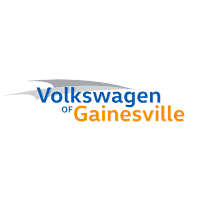 Volkswagen of Gainesville proudly serves Gainesville, Ocala, Lake City, and Orange Park, FL. Come experience a superior shopping experience at Volkswagen of Gainesville. We have great car loan options for your new 2019 Volkswagen Passat or any other New or Pre-Owned Vehicles on our lot. If you are simply looking for late-model used cars in Gainesville or you have any other automotive needs, come see us today at Volkswagen of Gainesville.